It is very common, at this time of the year, for people to think back on the year they’ve had and start setting new resolutions or goals. 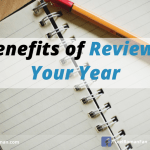 Previously, I’ve written about how to do an end-of-year review and start planning for the New Year. 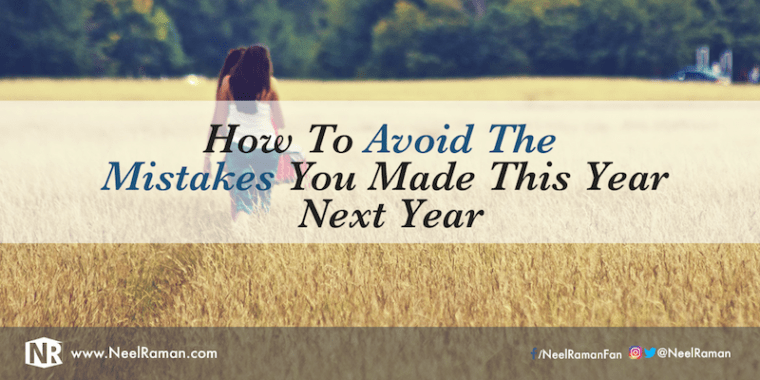 I’ve also shared the common mistakes people make when setting New Year’s resolutions and how to avoid them. As we reflect back on our year, it’s not unusual to have mixed emotions. If we think we’ve had a good year, then we may experience emotions of satisfaction, joy and a sense of accomplishment. If we don’t think we’ve had a good year, then we may experience emotions of disappointment, regret or sadness, which can affect our outlook for the New Year. This is one of the reasons why I believe it is extremely valuable to review our year so that we can build on the things we did well and identify the things we did not do well, so that we can come up with ways to improve in the New Year. Prevented us from achieving our goals. Affected our relationships with others. Affected our health and well-being in a negative way. Reduced our motivation levels to keep moving towards what’s important to us. To address the mistakes we made during the year, we must have a way to extract what we would like to know so that we can do things differently next year. What should I KEEP doing next year? What can I IMPROVE next year? What should I START doing next year? 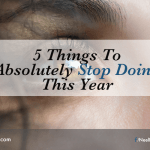 What should I STOP doing next year? These questions will help us focus on the most important things we need to know in order to have a better year next year. As I reflect on these questions, here are some of the things I can identify. Keep doing some form of physical exercise daily. Keep creating new content every week. Keep reviewing each day and planning for the next day. Improve my diet and continue focusing on better eating habits. Improve the quality of my sleep each night. Improve how I promote and market my products and services. Start creating more video-based content. Start scheduling time in my calendar for learning and personal development. Start offering live events or seminars as part of my business model. Stop watching Netflix during weekdays. Stop going to bed late so that I can get a minimum of seven hours sleep every night. Stop avoiding making tough decisions that will move me and my business forward in a bigger way. While there is a lot more I can add to each of the four questions, those points were examples of how we can review some of the critical things we did during the year and how we can identify what we can do better in the New Year. Completing a review of our year will go a long way to ensuring we avoid the same mistakes and set ourselves us to have a much better year. Action Step: Schedule between 30-60 minutes to review your year using the four questions before the start of the New Year. Question: What is another technique that can be used so that we avoid the mistakes we made this year next year?